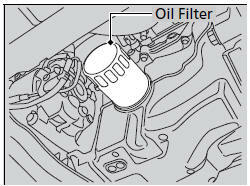 Change the oil and filter in accordance with the Maintenance Minder message on the information display. ► If it is stuck, you must detach it. 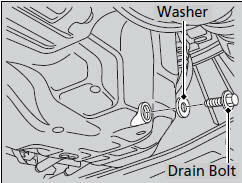 ► Apply a light coat of new engine oil to the oil filter rubber seal. ► Tightening torque: 29 lbf∙ft (39 N∙m, 4.0 kgf∙m) 8. Pour the recommended engine oil into the engine. ► If necessary, add more engine oil.